Opera Mini for Android has got a just new update with enhanced data saving and some exciting new features. The new version of the popular mobile browser now comes with faster download access and an innovative Facebook notification bar. The latest update also brings an advanced compression technique for saving web pages for offline viewing. The new Opera Mini is much faster to use even in low internet speeds, thanks to its ‘Extreme Data Saving’ mode. This inventive mode will also automatically search for all available download links in a web page. The respective downloadable contents will be shown in a dropdown menu right at the top. This way you can download MP3 music, video, pdf and more. Supported websites include Facebook, Tubidy, PagalWorld, DJPunjab, etc. Several others will be added later. Speaking of the Facebook notification bar, it is a live updating slide showing all your notifications from the popular social media. To initiate this new feature, first you need to login to your Facebook account from the Opera Mini Android browser. Then you will be able to see your friend requests, messages, mentions and other notifications directly from the pull down menu of your Android smartphone. 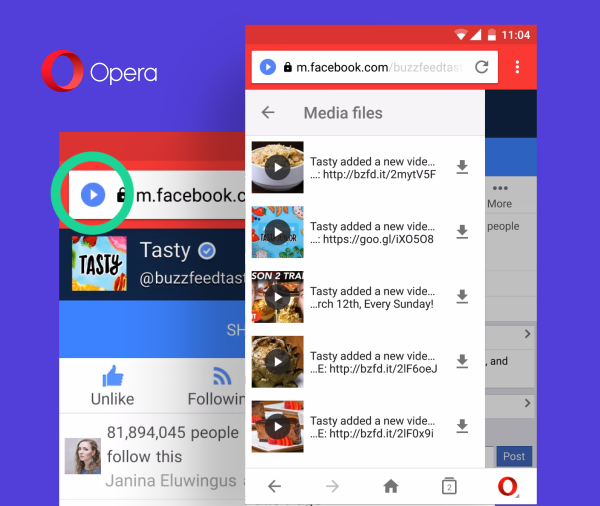 The latest update of Opera Mini also comes with a state-of-the-art AI (Artificial Intelligence) assisted newsfeed which studies a user’s reading habit and suggests related news. Unfortunately, this feature is still undergoing testing in some selected countries including India. On top of all these, the newest Opera Mini rocks performance enhancements and a renovated download manager. A handful of bug fixes are there too. 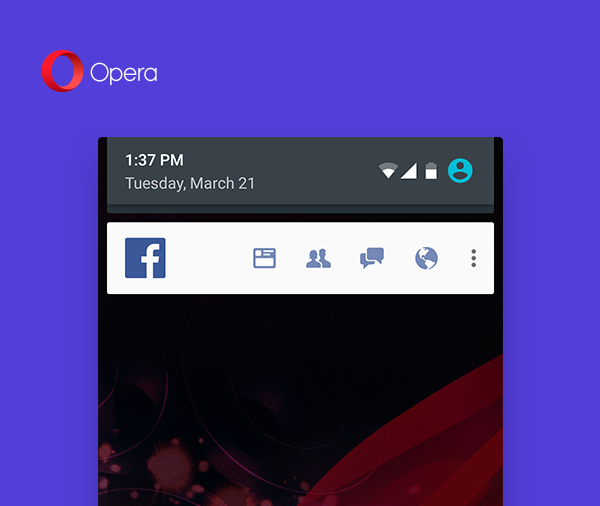 The latest version of Opera Mini browser is presently available for Android users only. To download please visit here.